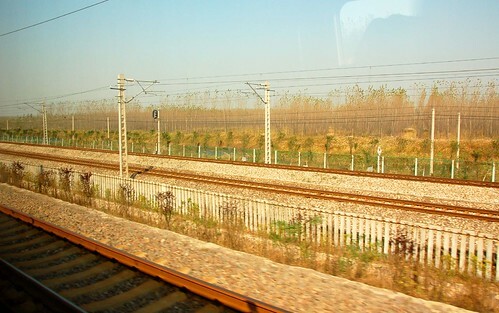 This past October I took the bullet train from Qingdao to Shanghai, China. 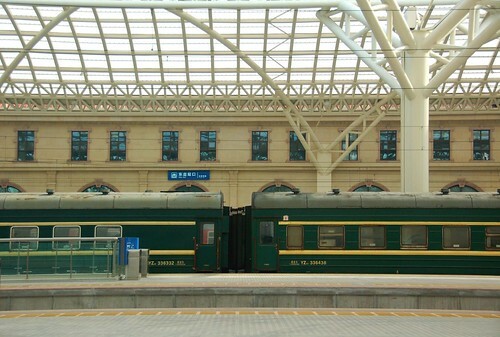 I had intended to take an overnight T train on that segment, yet the train on the day I wanted to travel turned out to be full so that I gave up sightseeing in Qingdao and had to leave the city much earlier. 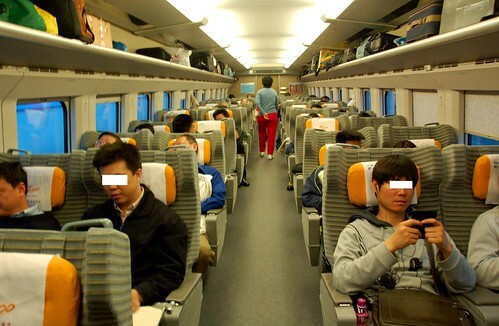 I could barely secured a first class ticket on the bullet train also. 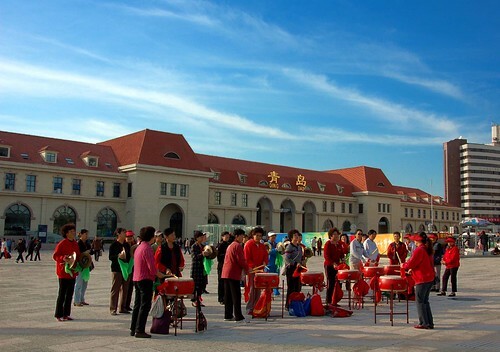 Seems the trains between Qingdao and Shanghai are quite busy at that time of year. 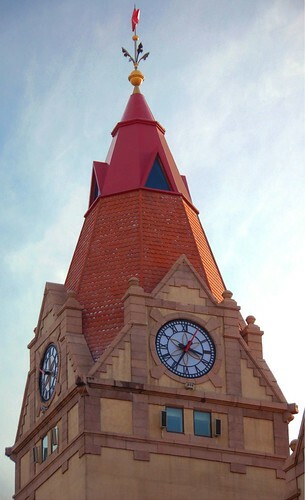 Qingdao Station; The style in architecture is apparently influenced by German one. 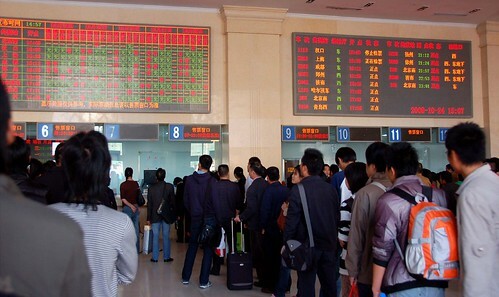 I had to queue up to purchase the ticket for the following day as soon as I landed at Qingdao by sea from Inchon, Korea. The wait was approx. 30 minutes. 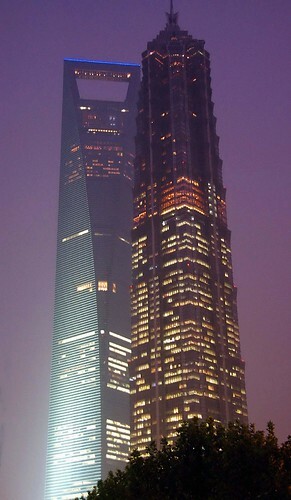 That's China, I'd say. 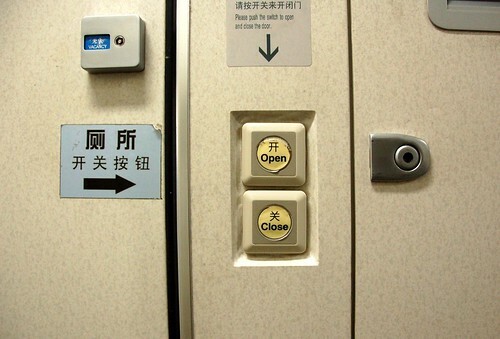 Too many people here and there. 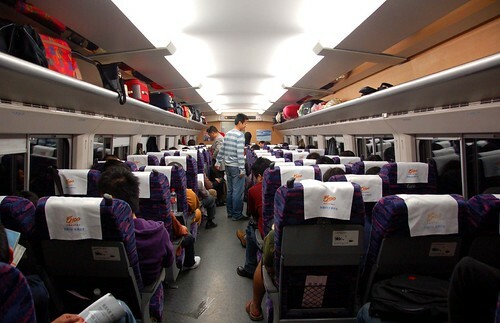 Train seat or sleeper vacancy list. 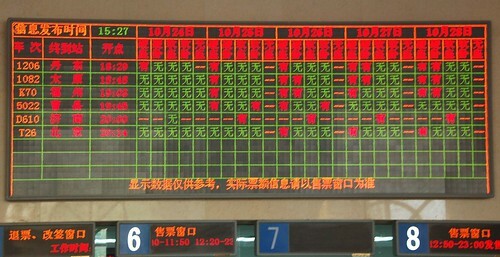 The letter '有' in red stands for 'vacant', that is, most trains are fully booked. 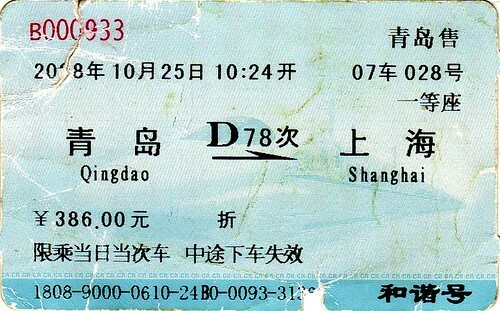 Ticket I bought and used for the ride. 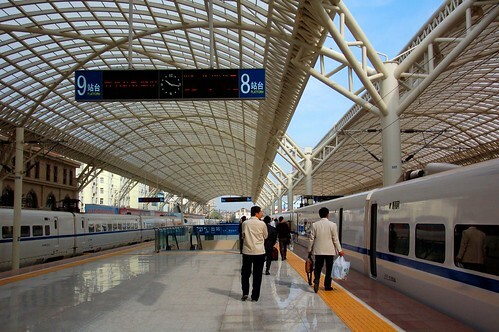 Qingdao Station is very modern and magnificent in structure. 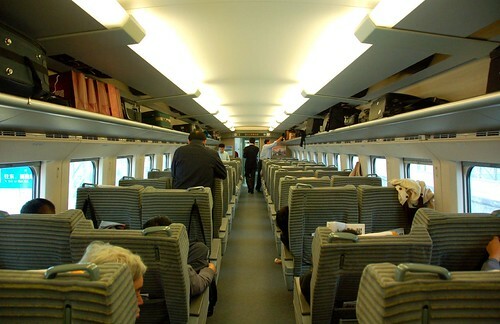 As soon as I boarded the train, I realized the carriages are all manufactured in Japan. 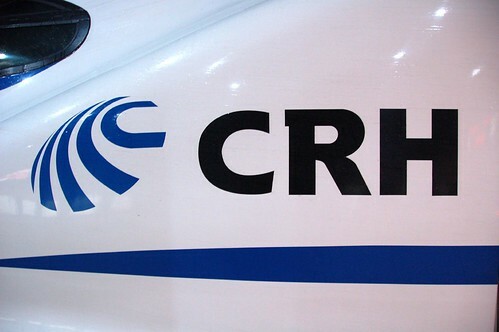 As I went over in Wikipedia, out of 60 CRH2 units, three were completely finished by Kawasaki Heavy Industries, Kobe and imported from Japan, the parts of six units are imported from Japan and assembled in China, and the rest were mabufactured in China under license. 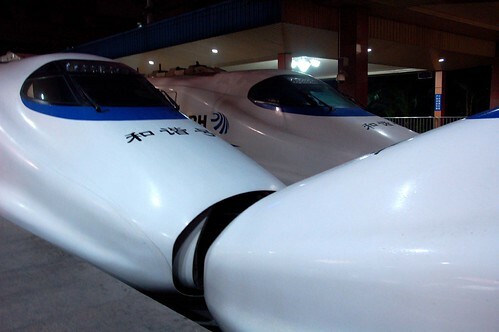 JR East, who operates commuter trains in Tokyo, Tohoku, Joetsu and Nagano Shinkansen Lines offered the technology in the Shinkansen field to the China side. 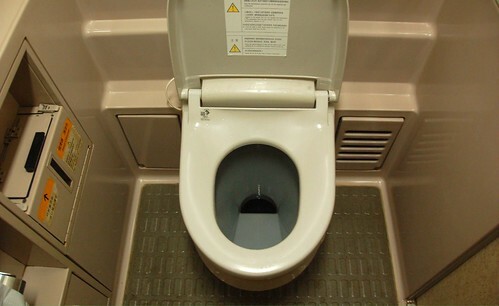 The seats, signboards, toilets are all the same as the ones in Japan. 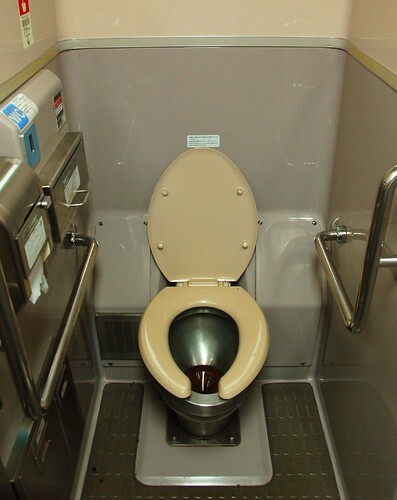 Toilet on the train run by JR Central, the operator of Tokaido Shinkansen in Japan. 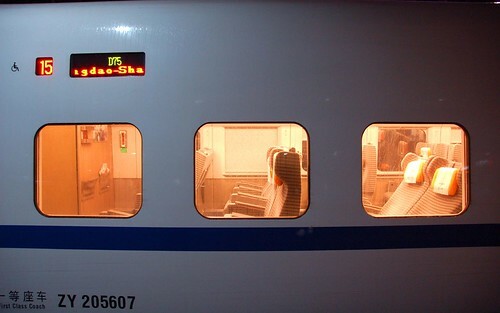 Other than the toilets, the exterior window frames and the body lines are very similar to each other. 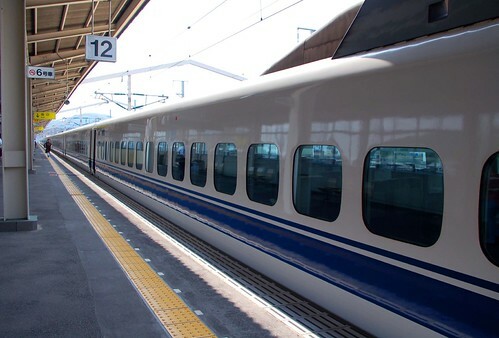 I was excited like a schoolboy to ride the Shinkansen in another country, and the first class seat was comfortable, yet that excitement ceased in a couple of hours. 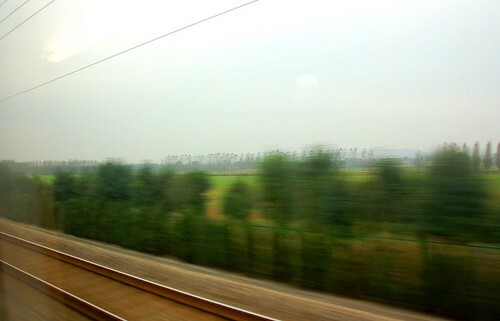 It changed to a pain the rest of the journey...It was a ten-hour journey. 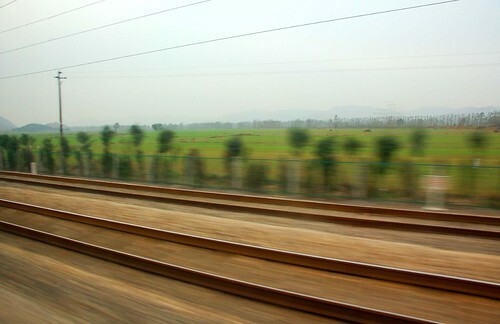 The train can as fast as 250km/h, but most of the time it cruised at 150 to 170km/h. 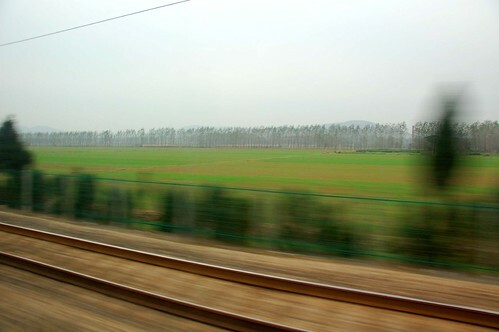 It looks like the capability of the carriage is a little excessive until they upgrade the tracks to meet a higher velocity service. 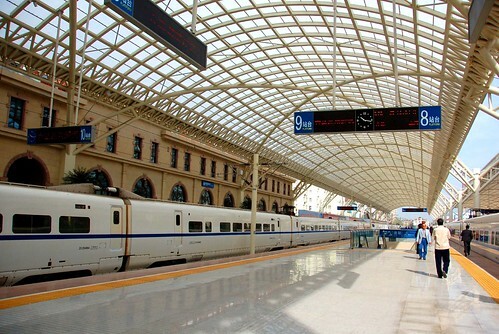 Finally I arrived at Shanghai Station. 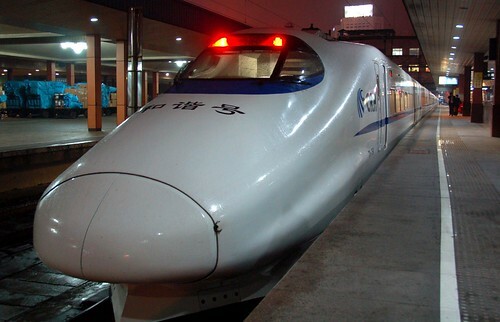 Interesting video on China's Shinkansen from a blog.